I thought I was familiar with dog breeds, but here’s a new one for me. 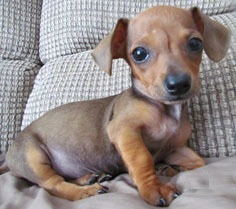 A Chiweenie — Chihuahua / Dachshund Hybrid Dogs. Cutest little things. . .